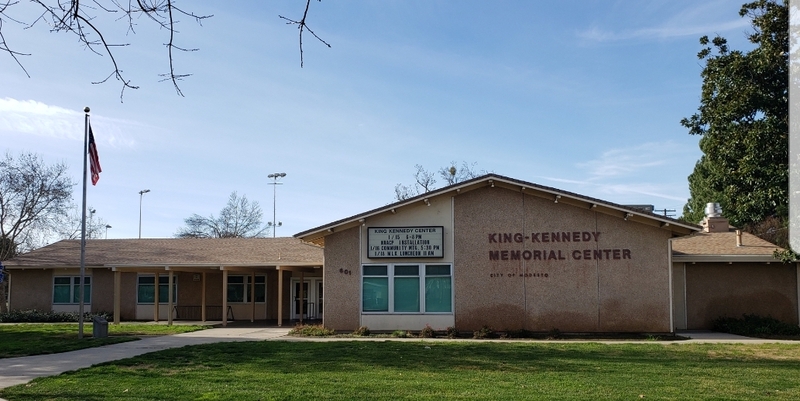 The King-Kennedy Memorial Center has been known as a central focus of excellence within the Modesto Community for years. For people of color, the center means much more than that. Year after year, people travel from all over the country to experience the ambiance of love and happiness shared by all who attend the events held in the venue. For those of you who are not familiar, February is Black History Month. African-American people reserve this month in honor to pay homage to the people and events that contributed to the positive uplifting of our culture. We celebrate Black History all twelve months of the year, but in February, we pay even closer attention to educate and inform our youth about the important African-American leaders who came before them. Presented by Audrey Spearman, (who is the writer, director, and producer of the entire show), and Sterling Fountain, (President of The King-Kennedy Memorial Center, as well as the event caterer), this powerful and dynamic Duo has mesmerized audiences with a FREE, three-hour original presentations, filled with stories of black history from the past and the present. Black History Celebrations at The King-Kennedy Memorial Center have always been phenomenal. Performers would come to sing, or a keynote speaker would come to share a life experience. Still, there always seemed to be a little something that was missing. 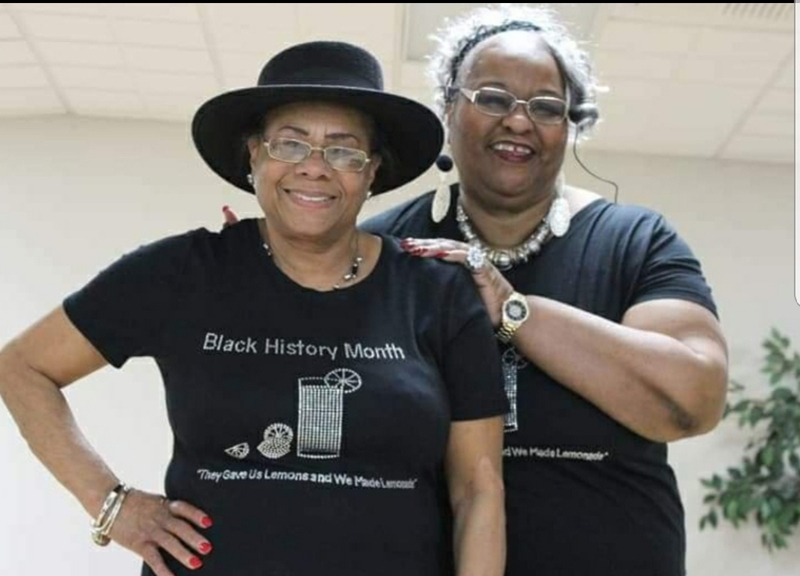 Eventually, Sterling and Audrey got together and decided to join forces and do something extra with the intent of encouraging more attendees to come out and see the Black History Month Celebration and they hatched a brilliant plan of execution. By creating a stage event that would keep a crowd fully engaged, catering a meal, (made by Sterling Fountain), and served by community volunteers, these women unlocked a treasure. By the end of the program, both Audrey and Sterling had each received rave reviews! 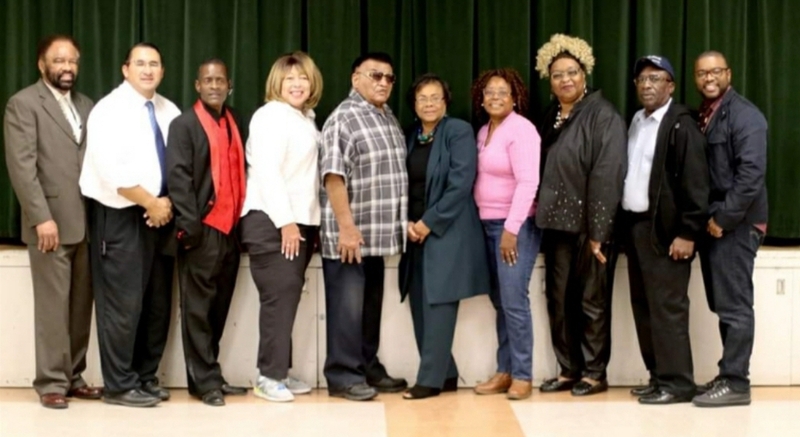 Last year’s show, titled “A Walk down Memory Lane through Black Music,” included local talent selected to act out and showcase different entertainers who performed soulful music, all the way from slavery through present day. That show consisted of a variety of performances of local talent, dressed as and singing songs with the likeness of Billie Holiday, Etta James, and Diana Ross and the Supremes. None of these events could take place without the help of community volunteers such as Bruce Lockard, City Liaison and Culinary Staff Chef, Mark Kullers. Pam Brazil, Willie Mae Dill, Doris McCarter, Sarah Johnson, Beverly Jones, Diane Nichols, Janay Rivinius, The Boys & Girls Club of West Modesto, and The King-Kennedy Memorial Center Board of Directors, are all included by helping to solidify these yearly, extravagant presentations, ensuring that they continuously take place. This year’s Black History Month Celebration is a FREE community event. 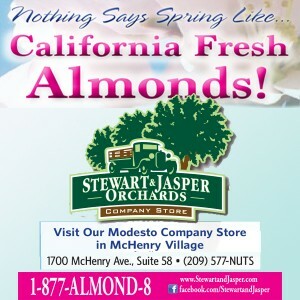 The title this year is, “Look Up and See the Rainbow.” It will be held on Friday, February 22, 2019, from 6:00 PM to 8:00 PM at 601 Martin Luther King Drive, Modesto, CA 95351. 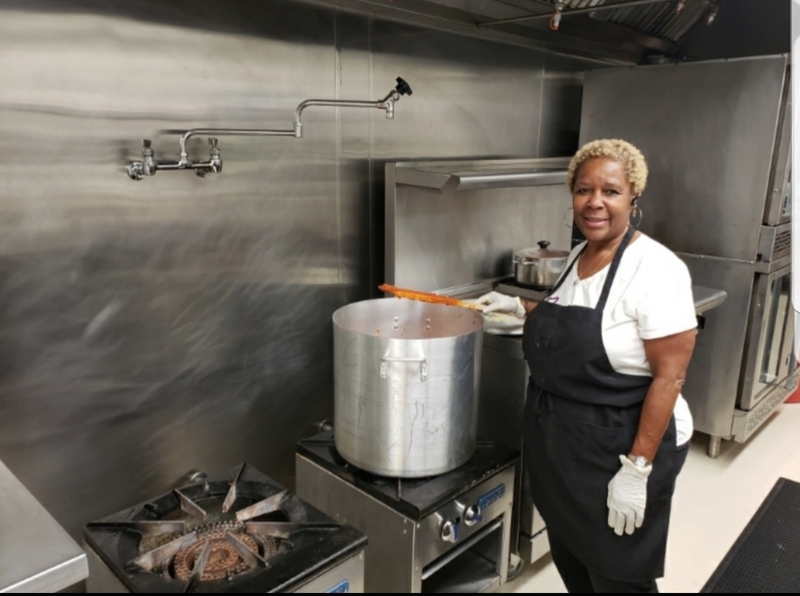 Culinary Staff and King-Kennedy Community Volunteer, Helen Nettles. From left to right, Sterling Fountain, President and Audrey Spearman, Director.